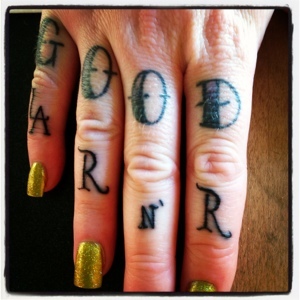 So I got more knuckle tattoos done yesterday in Hollywood! I got L.A rock n’ roll on my right hand as all my fave bands are from here. 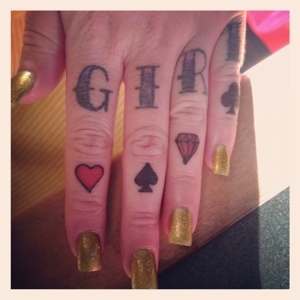 On my left hand I got a heart, spade, diamond and club for vegas, cards and Alice in wonderland! So they all symbolise a lot of stuff I love! 🙂 last day in LA tomorrow then off to Vegas! 😀 I’m loving this holiday!!! Previous Post Holiday so far…. Next Post I’m back in Manchester! !